SAN FRANCISCO (KGO) -- The 49ers announced that the winner of their prestigious Len Eshmont Award this year is quarterback Colin Kaepernick. Kaepernick made headlines this year for deciding to kneel for the playing of the national anthem in protest of police brutality and racism in America, a controversial move that some called unpatriotic. Colin Kaepernick taking a knee during the national anthem, the controversy continues. 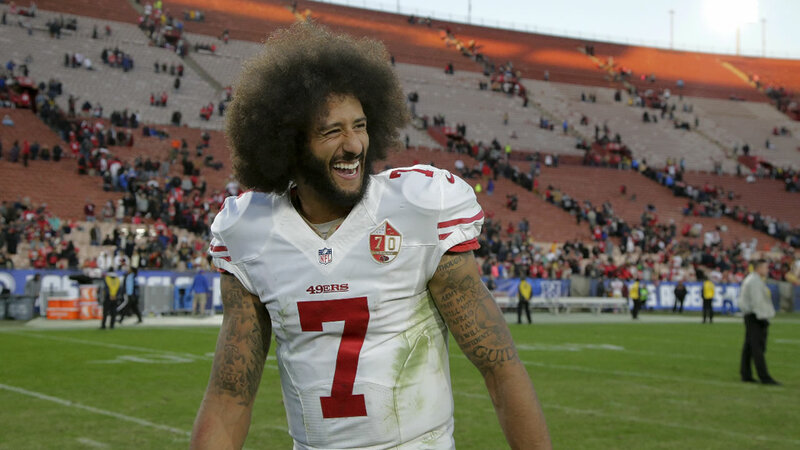 On Wednesday, the 49ers quarterback spoke out again about his intentions after practice and addressed those who think he's unpatriotic and believe he's converted to Islam. The Len Eshmont Award is voted on by the players and is "given to the 49er who best exemplifies the inspirational and courageous play of Len Eshmont, an original member of the 1946 49ers team." The award was established the year Eshmont died, 1957. Click here for the full list of 2016 team award recipients. The #49ers have announced their 2016 team awards.